Beijing makes the cut for the first time. Indonesia’s Investment Coordinating Board (BKPM) released its first quarter investment figures on Tuesday. 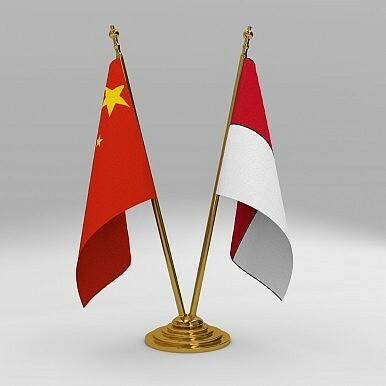 The biggest headline was that China had broken into the top ten list of Indonesia’s biggest foreign investors during this quarter for the first time. “It’s the first time that China managed to make it to the top 10,” BKPM chairman Franky Sibarani confirmed, according to The Jakarta Post. The news constitutes an improvement for China in this regard. As I noted in an earlier piece on Sino-Indonesian relations, BKPN had previously reported that China ranked 13th in terms of investment, which was below Mauritius and even Taiwan. It had also noted that only six percent of Chinese investment in Indonesia had actually materialized, exposing a glaring gap between proposed and realized investments. While some might take the new figures as yet another indicator of China’s growing dominance in Southeast Asia, Beijing’s investment in Indonesia is still quite low. Ranking-wise, China was tenth on that list, and its investment figures were dwarfed by Singapore, Japan, South Korea, the United Kingdom, the United States, Malaysia, the Netherlands, the British Virgin Islands, and Hong Kong. Even if the total investments from Hong Kong and mainland China are combined, China remains stuck below the British Virgin Islands, only moving up to the number nine spot. Getting a little deeper into the numbers, The Jakarta Post notes that China reportedly invested just $75.1 million in 200 projects in Indonesia during that period, while Singapore (Indonesia’s number one investor) invested $1.2 billion and the fifth-ranked United States invested $292 million. More broadly, much like China’s relationship with other Southeast Asian countries, the evidence suggests that Sino-Indonesian economic ties reflect a pattern where trade has been considerably larger and has grown much more quickly than investment (as I noted in my previous piece, by one count, trade quadrupled to $66 billion from 2005 to 2013 under Indonesia’s former president Susilo Bambang Yudhoyono). A recent report by the U.S.-China Economic and Security Review Commission, which measured China’s economic ties with the ten Southeast Asian states using trade and investment data, found that Beijing’s role in investment is still rather “marginal,” with China contributing a measly 2.3 percent of ASEAN’s total FDI inflows in 2013. “The fact remains that China is not yet a major investor in ASEAN,” the report soberly concludes (you can find my breakdown of the report here). Beijing may be slowly climbing the charts in some cases like Indonesia, but it still has some way to go in order to catch up with other major countries on this score. Is China’s Economic Power in ASEAN Overblown? A new report suggests there is less to Beijing’s influence than meets the eye. China and Indonesia Under Jokowi: Show Me The MoneyIndonesia Sinks 60 More Vessels to Mark Independence Indonesia and China's AIIBChina's Rising Influence in LaosWhat’s Behind Indonesia’s South China Sea Rhetoric Amid US-China Tensions?